Yoowinna Wurnalung Healing Service (YWHS) provides programs and services that support and empower East Gippsland Aboriginal communities to respond to and prevent family violence. GLCH auspices and works closely with YWHS. 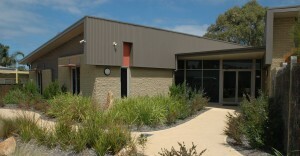 YWHS is located at 11 Heatherlea Grove Lakes Entrance (next to GLCH’s Jemmeson Street site in Lakes Entrance) and our Men’s Time Out property at Nicholson.